Kendall Vanderslice talks about her journey as a writer that has led her to the release of her first book, We Will Feast: Rethinking Dinner, Worship, and the Community of God (Eerdmans) in May 2019. 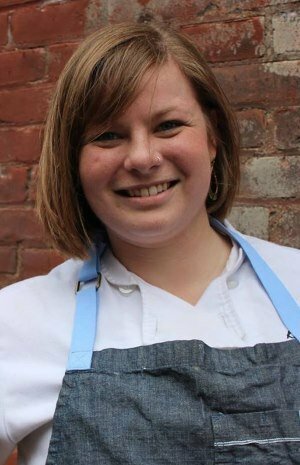 After graduating from Wheaton College in Illinois (BA Anthropology 2013), she began engaging questions of food and faith. Interested in commensality—or, the social dynamics of eating together—she studied food at Boston University (MLA Gastronomy 2016) and is now finishing her studies Duke University, studying the theology of bread (MTS 2019). This entry was posted in Uncategorized on February 27, 2019 by Two Worlds Media. Two Worlds Media has partnered with some local teachers and coaches who can help writers polish their craft. It is our pleasure to recommend Jenna Thompson as one of those professionals. 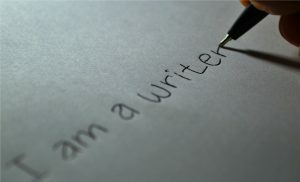 Jenna will be facilitating the first of several writer’s workshops on April 22nd. We at Two Worlds Media would like to encourage you take advantage of this local (Portland, OR) opportunity by offering the few remaining slots at a reduced rate of $35.00. That’s a $15.00 discount! Click here for details and a sign-up form. In the future, we are planning to organize a series of online collaborative workshops. Each facilitated practicum will be limited to four or five students who will work together with a coach to develop an aspect of their writing. Topics will focus on plot refinement, character development, descriptions and other elements of the writer’s practice. This entry was posted in Uncategorized on April 16, 2018 by Two Worlds Media. Newly Released by Two Worlds Press! Two Worlds author Calvin Tadema has just released an immensely helpful book about prayer. In readable and encouraging style Cal explores the joyful ministry of healing available to believers who seek the will of the Father for their lives. 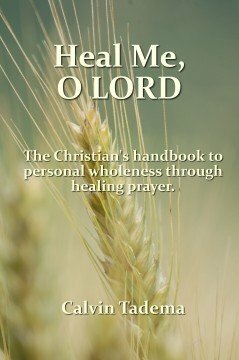 Heal Me, O Lord is a practical guide to healing prayer that should be in the library of anyone who desires to help others come to wholeness in Christ or to experience healing themselves.. It won’t be long, now! The manuscript for the next book from Two Worlds Press has gone to the publisher and the proofs are in the mail. The book should be available within the week. This book is a collaborative effort with Jody and I and Calvin and Julie Tadema of Masters Mind Ministry. We’ve been working closely with Cal and Julie for quite awhile now and we’re excited to have been able to work together on this project. Here is the blurb from the back cover. Marriage Rx is a code name that came as a response to the news that yet another Christian marriage was headed for divorce. We agreed that the schemes of the enemy included the destruction of marriages, derailing those that have been called to serve, and taking out those that should be spiritual leaders. What was God’s prescription for this epidemic? We went away to a quiet place to pray and seek His face. Out of that prayer time came a picture of God’s intentions for marriage. This book is not a new list of actions and behaviors to help husbands and wives get along better. It is a description of the character and identity of God reflected through married Christians living as examples of His nature. Marriage Rx is about your marriage—all of our marriages—but more than that, it is about His marriage: Christ and His church. This entry was posted in Uncategorized on January 16, 2013 by Two Worlds Media.